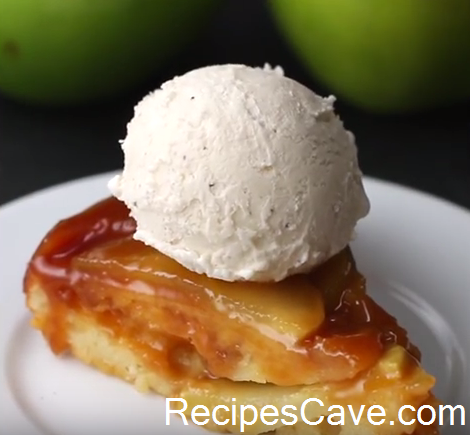 Caramel Apple Upside Down Cake - Did you ever tried to make cake with any fruit ? if you never did it then you don't know the taste of fruit cake. Many cake lover love to taste fruit cake so today we are going to show how to make the best fruit cake with apple in this caramel apple fruit cake recipe. Here is what you'll need to make Caramel Apple Upside Down Cake to serve 5-6 peoples. In a large bowl, mix together the flour, sugar, baking powder, eggs, oil, milk, and vanilla until smooth. Set aside. In a small pot over medium heat, melt the butter. Add the caramel and stir until mixture comes to a boil. Immediately pour the caramel mixture into a round baking pan. Layer the apples in a circular pattern with each one overlapping the other. Repeat until the entire bottom of the pan is covered. Pour the cake batter on top of the apples and spread the batter evenly on top. Bake for 25 minutes, then cool until bottom is slightly warm. Place a large round plate on top of the cake pan, then flip quickly. Give the cake pan a few pats to make sure the cake is released, then lift off the pan. Slice, serve with ice cream. 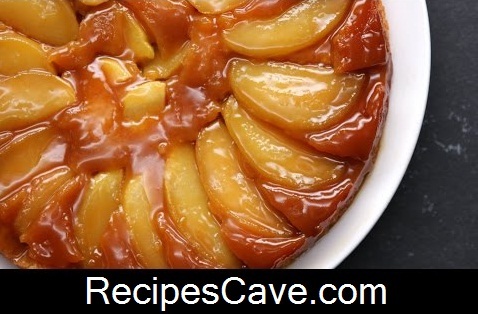 now your Caramel Apple Upside Down Cake recipe is ready enjoy it and don't forget to share your taste.